The possibilities for dairy-free wedding cakes are limited only by your imagination and ability to convey your beliefs to your local bakery. Specialty vegan bakeries are popping up all over the country and finding a vegan wedding cake is becoming down right easy for many couples. We have a list below of bakeries in the United States that we know will make your cake without animal products. Most "regular" bakeries are familiar with non-dairy wedding cakes, and will have no problem accommodating your needs. They get requests for people with lactose intolerance and dairy allergies all the time, and know exactly what to substitute in to make yours perfect. You can check with local restaurants, grocery stores, and vegetarian societies for references to bakeries and pastry chefs. If you have a Whole Foods or other natural foods store, they can often make a specialty order cake or tell you about an independent baker who can help. Even if you find a pastry chef who has never made a vegan dessert, you can sit down with them and tell them your requirements. Explain why you are choosing not to use dairy products, and why it's important to you. Let them know that there are plenty of butter and milk substitutes at the grocery store, and eggs are also easy to replace. Vegan wedding cakes, fat-free, sugar-free and gluten-free wedding cakes are available in a variety of flavors. I have been making vegan wedding cakes since 1995; I opened the first vegan, whole-grain, wheat-free, no refined sugar, no added fat bakery. Then we added gluten-free and diabetic-friendly (and were kosher). I have baked for many celebrities, TV shows and film sets. Eclectic vegetarian restaurant will create custom vegan wedding cakes. Vegan, dairy-free and wheat-free specialty wedding cakes. Can do sugar-free, wheat-free, low-fat, and other desserts. Ghalia is famous with celebrities and is environmentally friendly. Specializes in original wedding cakes with tons of different flavor combinations. Gourmet restaurant and catering service that can make desserts like crème brulee, meringues, and flourless cakes all vegan. They do full service catering as well. They have organic, vegan and fruit-sweetened custom wedding cakes, all without artificial additives, sweeteners, preservatives, or hydrogenated fats. Vegan macrobiotic, and offers many desserts. Offers raw and vegan food and can bake and/or cater custom vegan organic wedding cakes. Egg-free and vegan wedding cakes from an all-vegetarian restaurant. Vegetarian owned and operated. An organic, vegan restaurant with decadent wedding cakes, cupcakes, and other desserts. Custom vegan wedding cakes made to order for Ventura and Los Angeles counties. Our in-house bakery makes our own vegan cheesecakes, carrot cake, chocolate cake, cupcakes, cookies and brownies. We also specialize in vegan wedding cakes and many other customized desserts. Custom made, specialty wedding cakes. Vegan available. Vegan wedding cakes and more. Gluten-free wedding cakes and other special dietary needs can also be accommodated. Organic, vegan, mostly raw restaurant that makes wedding cakes and can cater other desserts for your wedding. Vegan ice cream wedding cakes, servicing San Francisco, Berkeley, Brisbane, Burlingame, Daly City, Oakland, Pacifica, Palo Alto, Redwood City, Richmond, San Bruno, and San Mateo). Popular vegan restaurant with specialty vegan cakes made to order in 13 different flavors. Vegan owned and operated. Private catering company, vegan owned and operated. Offers personal chef services and catering and can prepare your cake for pick-up, delivery, or in your home. Specializes in Asian vegetarian cuisine and caters for weddings and special events. Vegan wedding cakes and specialty bakery. Unique custom cakes with interesting flavor options like applesauce, banana nut, carrot lemon, poppyseed, and tres leches. A free first anniversary cake is included. Can deliver to NY/NJ/CT. All-vegan bakery that delivers to NJ/DE/NY/PA areas. Vegan, organic and gluten-free specialty wedding cakes, services PA/NY/MD/DE/VA/NJ. Can do vegan and sugar-free. Full-service catering including flowers, music, photography, and catering custom cakes. Vegan wedding cake and kosher wedding cake specialists. Provides raw meal delivery, raw desserts for weddings, and cakes. Wheat-free, sugar-free, mostly organic, and vegan. Gluten free, dairy free, soy free, nut free, egg free, yeast free, and vegan! Cookies, cakes, muffins and more! Artisan wedding and groom's cakes with many different flavor options. Seven different vegan cake flavor options. All vegetarian grocer with vegan wedding cakes and organic cakes. Vegetarian owned and operated. All vegetarian grocer with vegan and organic wedding cakes. Vegetarian owned and operated. All vegetarian grocer with vegan and organic cakes. Vegetarian owned and operated. Uses organic flours and maple syrup to sweeten. Award-winning restaurant with a huge dessert menu that also creates custom wedding cakes. Can make raw vegan wedding cake, as well as organic and soy-free. USDA certified organic retail bakery, and they offer catering and space at their store for rent. Co-op grocer will make vegan wedding cakes any number of different ways. Locally owned co-op grocer will make vegan wedding cakes any number of different ways. Locally-owned co-op grocer will make specialty vegan wedding cakes. Locally-owned bakery that can custom create vegan wedding cake. 100% egg and dairy-free custom-made cakes serving Central Maine and beyond; with free local delivery. Environmentally-friendly bakery that makes homemade desserts. Operated on wind power and has several vegan cake flavors. The bakery at the center of the popular Food Network show, Ace of Cakes, is able to make vegan cakes upon request, with advance notice. Gourmet catering company that has won 30+ culinary awards. Non-vegetarian, but can make a custom wedding cake. Vegan, eggless, and custom wedding cakes and catering available. Will deliver to MD/DC/VA. No preservatives or hydrogenated fats. Has a wide variety of desserts. Specialty cakes, vegan wedding cakes available. Organic and vegan cakes and more, including custom vegan wedding cakes. Megan Shackelford's bakery has turned into a special order baking business and offers vegan wedding cakes, cookies, brownies, cupcakes, raspberry bars, cheesecakes, raw bliss balls, and more. Custom cakes, vegan wedding cakes available upon request. Organic, wheat-free and vegan wedding cakes. Other wedding services are offered as well. Fresh, all-natural ingredients and French techniques, including organic, gluten-free, and other desserts. Makes specialty cakes and delivers. Full service bakery that has won awards, have several flavors and icings available. Specializes in couture wedding and special occasion cakes, and can do sugar-free and gluten-free. 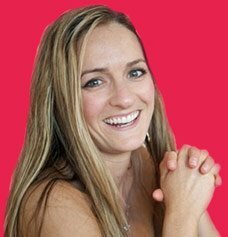 Ms. Sophia will create a custom vegan wedding cake and other pastries and desserts. Can cater to other dietary and religious restrictions as well. Dairy-free and kosher bakery offering vegan, sugar-free and gluten-free cakes, including vegan wedding cakes upon request. Vegan Chef Mayra creating vegan cakes for all occasions, and pies and cupcakes. About 65% of the products are organic. Bakery is vegan. PLEASE NOTE: VEGAN options are 100% vegan made by VEGAN CHEF MAYRAPURA VIDA Bakery & Bystro is the first 100% animal-free bakery & bystro in Las Vegas. Thank you for all your support! Mail-order bakery that can make vegan wedding cupcakes. Can deliver to Manhattan and North New Jersey as well. Bakery and wholesale distributor of 200 different vegan pastries, famously known for their peanut butter bombs. They can be found at restaurants all over the PA/NY/NJ area. Babycakes is an all-vegan bakery that makes everything imaginable and can also do a wedding cake in any cupcake flavor. Organic, wheat-free, vegan wedding cakes and more. Vegan owned and operated. Custom vegan wedding cakes and organic wedding cakes. Specialty cakes, vegan wedding cakes, cakes for diabetics and themed cakes. Raw food restaurant that makes vegan wedding cakes. Vegan owned and operated. Classic and contemporary vegan and organic wedding cakes custom made in a variety of gourmet flavors. Featured on NBC's Today Show. They make vegan wedding cupcakes for special order. Health food store with specialty vegan cakes and vegan wedding cakes upon request. Specializes in custom wedding cakes. Vegan chocolate wedding cakes with raspberries and chocolate mousse. Vegan and whole wheat custom designed cakes, including vegan wedding cakes. Will make vegan wedding cakes. Vegan wedding cakes, gluten free, wheat-free and sugar-free specialty wedding cakes. Vegan desserts made-to-order for the Charlotte, NC area. Specializing in cakes, pies, and tarts. Submit order requests online and have it delivered or scheduled for pickup. Artisan wedding cakes, each is one-of-a-kind. North Carolina wedding cake baker specializing in organic and locally grown products, and also catering to vegans. Co-op natural food grocer will make vegan wedding cakes and other specialty cakes. Vegan, spelt, wheat free and gluten-free wedding cakes using organic flours. Vegan wedding cakes for Cleveland and surrounding counties. Offers wedding, groom's and special event cakes in banana walnut flavor. Located inside The Pink Cupcake Bakery, has vegan selections. Specialize in vegan and vegetarian wedding and special event cakes. Will deliver to PA/OH/WV. All vegan bakery that uses no hydrogenated oils, fewer refined sugars, organic, fair trade, and recycled products. Vegan baked goods and specialty wedding cakes. Has a wide variety of cake flavors. Vegan wedding cakes, gluten-free and sugar-free specialty wedding cakes. Specializes in cupcake cakes in a variety of tiers, and they can do a top tier for cutting. Full-service catering specializing in vegan food, and they even do wedding invitations. The bakery has won awards and has been in business since 1979. They offer many different flavor options for the cake and icing. They also make wedding cupcakes and can do wheat-free, sugar-free, and soy-free cupcakes. Vegan wedding cakes, gluten-free cakes and wedding cakes for diabetics. Two locations: 507 South 6th St and 106th South 20th St.
Every kind of vegan cake imaginable, from the Philly restaurant with a cult following, due to its legendary vegan pizzas and bakery. Custom vegan wedding cakes. Highly recommended. Specializing in custom wedding cakes using organic ingredients wheneverpossible to craft our signature flavor combinations. 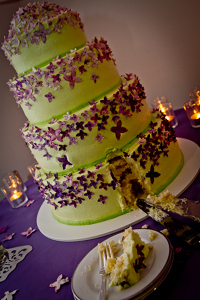 Voted "Best Vegan WeddingCake" by City Paper Choice Awards and "Best Philadelphia Wedding Vendor of2010" by The Knot. Truck delivery available throughout the East Coast and airdelivery to points beyond. Caters full-service international food and cakes. Made in a home kitchen and customized to your exact needs. Coco Paloma specializes in natural and organic ingredients. Vegan wedding cakes, kosher wedding cakes and wedding cakes made with organic ingredients available in a plethora of flavors. Dinner parties, wine tastings, cooking classes, BBQs, and weddings. Offers wheat-free, sugar-free, dairy-free, and fruit-sweetened, and they have uncommon cake flavors. Vegan restaurant with fresh desserts daily, and makes wedding cakes. Vegan cakes can be special ordered. Family-owned, with huge list of flavor options. Organic and vegan catering and vegan wedding cakes. Vegan wedding cakes and for other special dietary needs. Cafe that can make special event cakes, and provides a complimentary first wedding anniversary cake. Award winning restaurant and bakery that is renowned for its delicious, healthy, and global vegetarian fare. Cafe Flora makes vegan whole cakes by special order but not wedding cakes. Offers a variety of wedding services including catering and event planning. Vegan wedding cakes can be made by special order. Wheat-free, gluten-free and vegan bakery that makes gourmet breads, cookies, pastries, and cakes with unrefined and organic ingredients. They are well skilled at special order wedding cakes. Organic and vegan wedding cakes with seasonal ingredients. 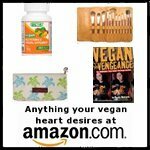 Vegan owned and operated, highly recommended and popular. Makes cookies, cupcakes, pastries, and delicious wedding cakes. Most of the Whole Foods grocery stores in Wisconsin carry vegan cakes from the Chicago Diner. Do You Have A Great Vegan Wedding Cake Picture? Note: Photos submitted to this site may appear in written publications owned and distributed by Vegan-Nutritionista.com. By submitting your entry, you are doing it with this understanding and are granting your permission to do so. We'd love to know everything about the cake selection process. Did you find an excellent caterer? Did they come with rave reviews? What cake flavors did they let you try? Did you get to design it yourself, or did they have numerous options. Anything and everything goes here. Ready to add your picture? Great! Click the browse button and find it on your computer. Double click to select. Click for the wedding cake submission form.